1. Klepper J, Voit T. Facilitated glucose transporter protein type I (GLUTI) deficiency syndrome: impaired glucose transport into brain—a review. Eur J Pediatr 2002;161:295-304. 2. DeVivo DC, Trifiletti RR, Jacobson RI, Ronen GM, Behmand RA, Harik SI. Defective glucose transport across the blood-brain barrier as a cause of persistent hypoglycorrhachia, seizures, and developmental delay. N Engl J Med 1991;325:703-709. 3. Brockmann K, Wang D, Korenke CG, von Moers A, Ho YY, Pascual JM, Kuang K, Yang H, Ma L, Kranz-Eble P, Fischbarg J, Hanefeld F, De Vivo DC. Autosomal dominant glut-1 deficiency syndrome and familial epilepsy. Ann Neurol 2001;50:476-485. 4. Klepper J, Wang D, Fischbarg J, Vera JC, Jarjour IT, O'Driscoll KR, DeVivo DC. Defective glucose transport across brain tissue barriers: a newly recognized neurological syndrome. Neurochem Res 1999;24:587-597. 5. Klepper J, Willemsen M, Verrips A, Guertsen E, Herrmann R, Kutzick C, Florcken A, Voit T. Autosomal dominant transmission of GLUT1-deficiency. Hum Mol Genet 2001;10:63-68. 6. Seidner G, Alvarez MG, Yeh JI, O'Driscoll KR, Klepper J, Stump TS, Wang D, Spinner NB, Birnbaum MJ, DeVivo DC. GLUT-1 deficiency syndrome caused by haploinsufficiency of the blood-brain barrier hexose carrier. Nat Genet 1998;18:188-191. 7. DeVivo DC, Garcia-Alverez M, Ronen G, Trifiletti R. Glucose transport protein deficiency: an emerging syndrome with therapeutic implications. Int Pediatr 1995;10:51-56. 8. El-Mallakh RS. The Na,K-ATPase hypothesis for manic-depression. I. General considerations. Med Hypoth 1983;12:253-266. 9. El-Mallakh RS, Huff MO. Mood stabilizers and ion regulation. Harv Rev Psychiatr 2001;9:23-32. 10. Erwin CW, Gerber DJ, Morrison SD, James JF. Lithium carbonate and convulsive disorders. Arch Gen Psychiatr 1973;28:646-648. 11. Shukla S, Mukherjee S, Decina P. Lithium in the treatment of bipolar disorders associated with epilepsy: an open study. J Clin Psychopharmacol 1988;8:201-204. 12. Post RM, Putnam F, Uhde TW, Weiss SRB. Electoroconvulsive therapy as an anticonvulsant: implications for its mechanism of action in affective illness. N Y Acad Sci 1986;462:376-388. 13. Morris GI III, Mueller WM, and the Vagus Nerve Stimulation Study Group E01-E05. Long-term treatment with vagus nerve stimulation in patients with refractory epilepsy. Neurology 1999;53:1731-1735. 14. Milstein V, Small JG, Klapper MH, Small IF, Miller MJ, Kellams JJ. Unilateral versus bilateral ECT in the treatment of mania. Convuls Ther 1987;3:1-9. 15. Small JG, Kalapper MH, Kellams JJ, Miller MJ, Milstein V, Sharpley PH, Small IF. Electroconvulsive treatment compared with lithium in the management of manic states. Arch Gen Psychiatr 1988;45:727-732. 16. George MS, Sackeim HA, Rush AJ, Marangell LB, Nahas Z, Husain MM, Lisanby S, Burt T, Goldman J, Ballenger JC. Vagus nerve stimulation: a new tool for brain research and therapy. Biol Psychiatr 2000;47:287-295. 17. Pande AC. Combination treatment in bipolar disorders. Bipolar Disord 1999;1 (Suppl 1):17. 18. Coppen A. Shaw DM, Malleson A, Costain R. Mineral metabolism in mania. Br Med J 1966:1:71-75. 19. Shaw DM. Mineral metabolism, mania and melancholia. Br Med J 1966:2:262-267. 20. Naylor GJ, McNamee HB, Moody JP. Changes in erythrocyte sodium and potassium on recovery from depressive illness. Br J Psychiatr 1971:118:219-223. 21. Siebens AW, Boron WF. Depolarization-induced alkalinization in proximal tubules. I. Characteristics and dependence on Na+. Am J Physiol 1989:25:F342-F353. 22. Pappas CA, Ransom BR. A depolarization-stimulated, bafilomycin-inhibitable H+ pump in hippocam-pal astrocytes. Glia 1993:9:280-291. 23. Konnerth A, Lux HD, Morad M. Proton-induced transformation of calcium channel in dorsal root ganglion cells. J Physiol 1987:386:603-633. 24. Balestrino M, Somjen GG. Concentration of carbon dioxide, interstitial pH and synaptic transmission in hippocampal formation of the rat. J Physiol 1988;396:247-266. 25. Tang CM, Dichter MA, Morad M. Modulation of the N-methyl-d-aspartate channel by extracellular H+. Proc Natl Acad Sci U S A 1990;87:6445-6449. 26. Traynelis SF, Cull-Candy SG. Proton inhibition of N-methyl-d-aspartate J receptors in cerebral neurons. Nature 1990;345:347-350. 27. Al-Mudallal AS, LaManna JC, Lust WD, Harik SI. Diet-induced ketosis does not cause cerebral acidosis. Epilepsia 1996;37:258-261. 28. Novotny EJ Jr, Chen J. Rothman DL. Alterations in cerebral metabolism with the ketogenic diet. Epilepsia 1997;38 (Suppl 8):147. 29. Baxter LR Jr, Phelps ME, Mazziotta JC, Schwartz JM, Gerner RH, Selin CE, Sumida RM. Cerebral metabolic rates for glucose in mood disorders: studies with positron emission tomography and fluo-rodeoxyglucose F-18. Arch Gen Psychiatr 1985;42:441-447. 30. Baxter LR Jr, Schwartz JM, Phelps ME, Mazziotta JC, Guze BH, Selin CE, Gerner RH, Sumida RM. Reduction of prefrontal cortex glucose metabolism common to three types of depression. Arch Gen Psychiatr 1989;46:243-250. 31. Buchsbaum MS, Wu J, DeLisi LE, Holcomb H, Kessler R. Johnson J, King AC, Hazlett E, Langston K. Post RM. Frontal cortex and basal ganglia metabolic rates assessed by positron emission tomography with [18F]2-deoxyglucose in affective illness. J Affect Disord 1986;10:137-152. 32. Bucsbaum MS, Someya T, Wu JC, Tang CY, Bunney WE. Neuroimaging bipolar illness with positron emission tomography and magnetic resonance imaging. Psychiatr Ann 1997;27:489-495. 33. Schwartz JM, Baxter LP, Mazziotta JC, Gerner RH, Phelps ME. The differential diagnosis of depression: relevance of positron emission tomography (PET) studies of cerebral glucose metabolism to the bipolar-unipolar dichotomy. JAMA 1987;258:1368-1374. 34. Pan JW, Bebin EM, Chu WJ, Hetherington HP. Ketosis and epilepsy: 31P spectroscopic imaging at 4.1 T. Epilepsia 1999;40:703-707. 35. El-Mallakh RS, Paskitti ME. The ketogenic diet may have mood-stabilizing properties. Med Hypoth 2001;57:724-726. 36. Yaroslavsky Y, Stahl Z, Belmaker RH. Ketogenic diet in bipolar illness. Bipolar Disord 2002;4:75. 37. Flegal KM, Carroll MD, Ogden CL, Johnson CL. Prevalence and trends in obesity among US adults, 1999-2000. JAMA 2002;288:1723-1727. 38. Weil E, Wachterman M, McCarthy EP, Davis RB, O'Day B, Iezzoni LI, Wee CC. Obesity among adults with disabling conditions. JAMA 2002;288:1265-1268. 39. Ogden CL, Flegal KM, Carroll MD, Johnson CL. Prevalence and trends in overweight among US children and adolescents, 1999-2000. JAMA 2002;288:1728-1732. 40. Lew EA, Garfinkel L. Variations in mortality by weight among 750,000 men and women. J Chron Dis 1979;32:563-576. 41. Bray GA. Complications of obesity. Ann Intern Med 1985;103:1052-1062. 42. Must A, Jacques PF, Dallal GE, Bajema CJ, Dietz WH. Long-term morbidity and mortality of overweight adolescents. N Engl J Med 1992;327:1350-1355. 43. Atkins RC. Dr. Atkins's New Diet Revolution, rev. ed. Avon, New York, 2002. 44. Landers P, Wolfe MM, Glore S, Guild R, Phillips L. Effect of weight loss plans on body composition and diet duration. J Okla State Med Assoc 2002;95:329-331. 45. Willi SM, Oexmann MJ, Wright NM, Collop NA, Key LL Jr. The effects of a high-protein, low-fat, ketogenic diet on adolescents with morbid obesity: body composition, blood chemistries, and sleep abnormalities. Pediatrics 1998;101:61-67. 46. Fraser DA, Thoen J, Bondhus S, Haugen M, Reseland JE, Dj0seland O, F0rre 0, Kjeldsen-Kragh J. Reduction in serum leptin and IGF-1 but preserved T-lymphocyte numbers and activation after a keto-genic diet in rheumatoid arthritis patients. Clin Exp Rheumatol 2000;18:209-214. 47. Fraser DA, Thoen J, Dj0seland O, F0rre 0, Kjeldsen-Kragh J. Serum levels of interleukin-6 and dehy-droepiandrosterone sulphate in response to either fasting or a ketogenic diet in rheumatoid arthritis patients. Clin Exp Rheumatol 2000;18:357-362. 48. Papamandjaris AA, MacDougall DE, Jones PJ. Medium chain fatty acid metabolism and energy expenditure: obesity treatment implications. Life Sci 1998;62:1203-1215. 49. Langfort J, Pilis W, Zarzeczny R, Nazar K, Kaciuba UH. Effect of low-carbohydrate-ketogenic diet on metabolic and hormonal responses to graded exercise in man. 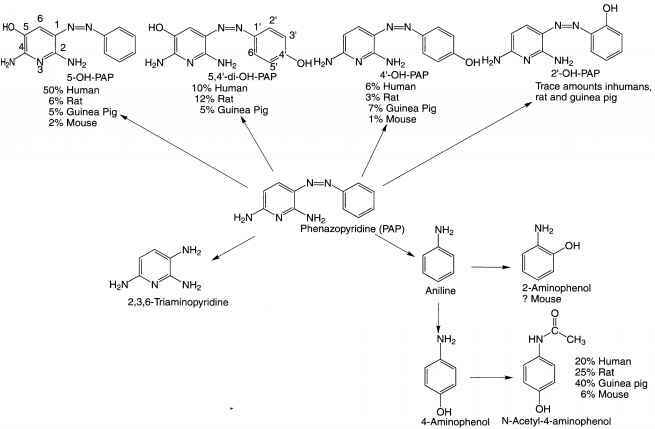 J Physiol Pharmacol 1996;47:361-371. 50. Sharman MJ, Kraemer WJ, Love DM, Avery NG, Gómez AL, Scheett TP, Volek JS. A ketogenic diet favorably affects serum biomarkers for cardiovascular disease in normal-weight men. J Nutr 2002;132:1879-1885. 51. Austin MA, Breslow JL, Hennekens CH, Buring JE, Willett WC, Krauss RM. Low-density lipoprotein subclass patterns and risk of myocardial infarction. JAMA 1988;260:1917-1921. 52. Volek JS, Gómez AL, Kraemer WJ. Fasting lipoprotein and postprandial triacylglycerol responses to a low-carbohydrate diet supplemented with n-3 fatty acid. J Am Coll Nutr 2000;19:383-391. 53. Haas MJ, Reinacher D, Pun K, Wong NC, Mooradian AD. Induction of the apolipoprotein AI gene by fasting: a relationship with ketosis but not with ketone bodies. Metab Clin Exp 2000;49:1572-1578. 54. Sirven J, Whedon B, Caplan D, Liporace J, Glosser D, O'Dwyer J, Sperling MR. The ketogenic diet for intractable epilepsy in adults: preliminary results. Epilepsia 1999;40:1721-1726. 55. Best TH, Franz DN, Gilbert DL, Nelson DP, Epstein MR. Cardiac complications in pediatric patients on the ketogenic diet. Neurology 2000;54:2328-2330. 56. Storlien LH, Tapsell LC, Calvert GD. 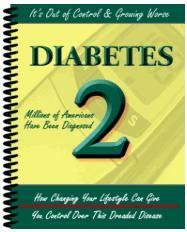 Diabetic diets—whither goest? Nutrition 1998;14:865-867. 57. Sanz-Paris A, Calvo L, Guallard A, Salazar I, Albero R. High-fat versus high-carbohydrate enteral formulae: effect on blood glucose, C-peptide, and ketones in patients with type 2 diabetes treated with insulin or sulfonylurea. Nutrition 1998;14:840-845. 58. Garg A, Bonanome A, Grundy SM, Zhang Z-J, Unger RH. Comparison of a high-carbohydrate diet with a high-monounsaturated-fat diet in patients with non-insulin-dependent diabetes mellitus. N Engl J Med 1988;319:829-834. 59. Campbell LV, Marmot PE, Dyer JA, Borkman M, Storlien LH. The high-monounsaturated fat diet as a practical alternative for NIDDM. Diabetes Care 1994;17:177-182. 60. Sköldstam L, Larsson L, Lindström FD. Effects of fasting and lactovegetarian diet on rheumatoid arthritis. Scand J Rheumatol 1979;8:249-255. 61. Hafström I, Ringertz B, Gyllenhammer H, Palmblad J, Harms-Ringdahl M. Effects of fasting in disease activity, neutrophil function, fatty acid composition, and leukotriene biosynthesis in patients with rheumatoid arthritis. Arthritis Rheum 1988;31:585-592. 62. Fraser D, Thoen J, Reseland J, F0rre 0, Kjeldsen-Kragh J. Decreased CD4+ lymphocyte activation and increased IL-4 production in peripheral blood of rheumatoid arthritis patients after acute starvation. Clin Rheumatol l999;l8:394-4Gl. 63. Van der Laar MAFJ, van der Korst JK. Food intolerance in rheumatoid arthritis. I: A double blind, controlled trial of the clinical effects of elimination of milk allergens and azo dyes. Ann Rheum Dis l992;5l:298-3G2. 64. Haugen M, Kjeldsen-Kragh J, F0rre 0. A pilot study of the effect of an elemental diet in the management of rheumatoid arthritis. Clin Exp Rheumatol 1994;12:275-279. 65. Klein S, Wolfe R. Carbohydrate restriction regulates the adaptive response to fasting. Am J Physiol 1992;262:E631-E636.